Eleider Alvarez didn’t do anything special last night, but he didn’t have to. 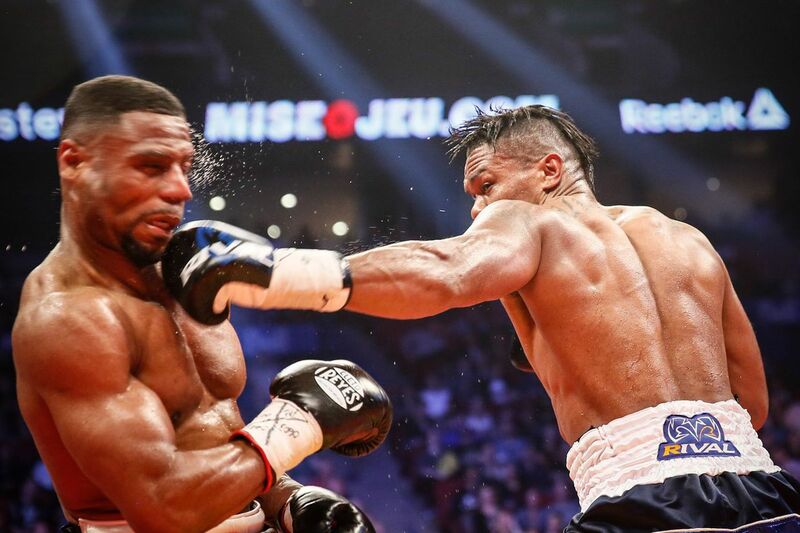 A strong, consistent jab was the key weapon against battle-worn but game Jean Pascal tonight in Montreal, with Alvarez outpointing the former light heavyweight champion over 12 rounds. Alvarez (23-0, 11 KO) won on scores of 114-114, 116-112, and 117-111, so this was a majority draw, but only because one judge scored the fight poorly. BLH had it 117-111 and 118-110 for Alvarez. The win secures Alvarez’s WBC title shot against the winner of tonight’s rematch between Adonis Stevenson, the defending champion, and Andrzej Fonfara. Alvarez has been the mandatory for over a year, and notably took step-aside money and a dangerous opponent to allow Stevenson an optional defense once more. Pascal (31-5-1, 18 KO) is 34 years old and fought like it, looking at many times, especially early, like his balance was off, and he was rattled by almost any clean shot that Alvarez landed. He did seem to regain his footing some as the fight wore on, but Alvarez’s approach was tactical, taking advantage of the familiar technical flaws in Pascal’s game. Pascal has never been a fighter who throws a lot of punches, either, so his low output, when considering that and the miles on his body throughout his career, was no surprise. But Pascal was solid in bursts, showed some offense now and then, and tried, notably, to steal rounds late, which may have influenced the judge who scored the bout a draw. Pascal said after the fight that he felt he won, a claim emboldened by that judge getting it wrong, but don’t expect much outrage or serious claims of controversy.